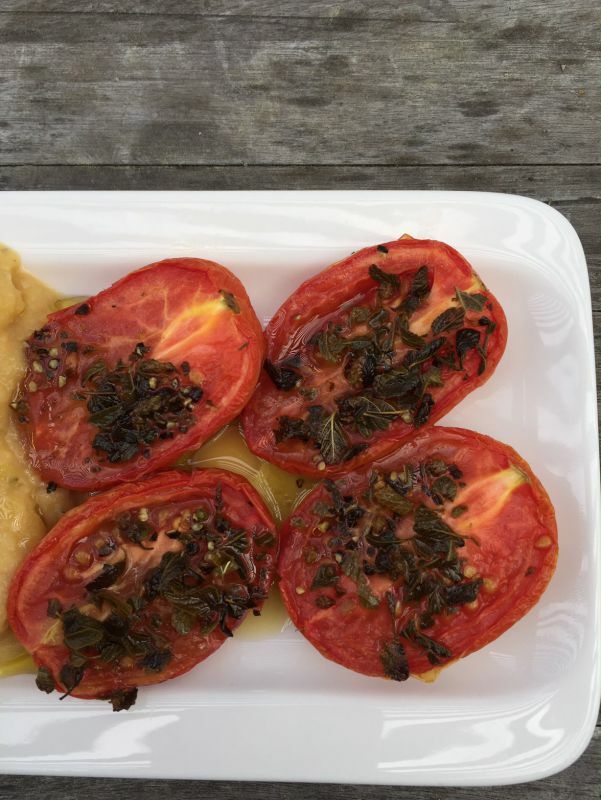 One thing I remember from Greece is this delicious and healthy side dish I could eat daily called “Fava”. Every household holds on to their own version of this recipe which makes this appetizer appealing to everyone. Favas are served on every menu in Greek restaurants, often called “meze”. But many times we confuse this dish with the fresh long green fava bean, here in the U.S. They have the same name but are altogether different dishes. 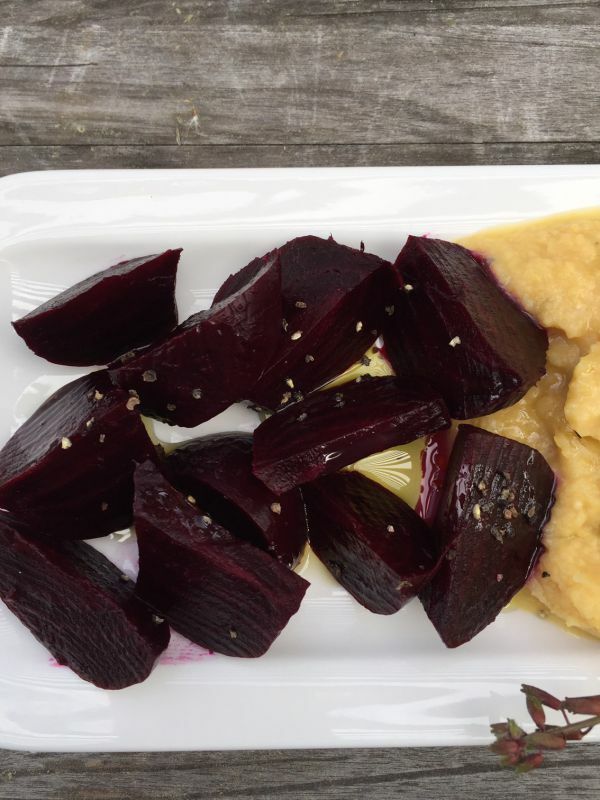 Once cooked and pureed these yellow split peas can be changed up to meet your palate. Here, I chose to make this as a complete “meze” platter, which can be served along with pita bread or chips. Yellow split peas are easily found at your local grocery stores, and commonly found in health food stores in their large bins. They are also available online or at Bob’s Red Mill. I like to serve the fava with a few more tasty side dishes, for a c complete meal. I chose roasted tomatoes and beets. First things first, get your peas cooking, then decide how you would like to serve them. For a quick and easy appetizer serve with toasted pita chips. 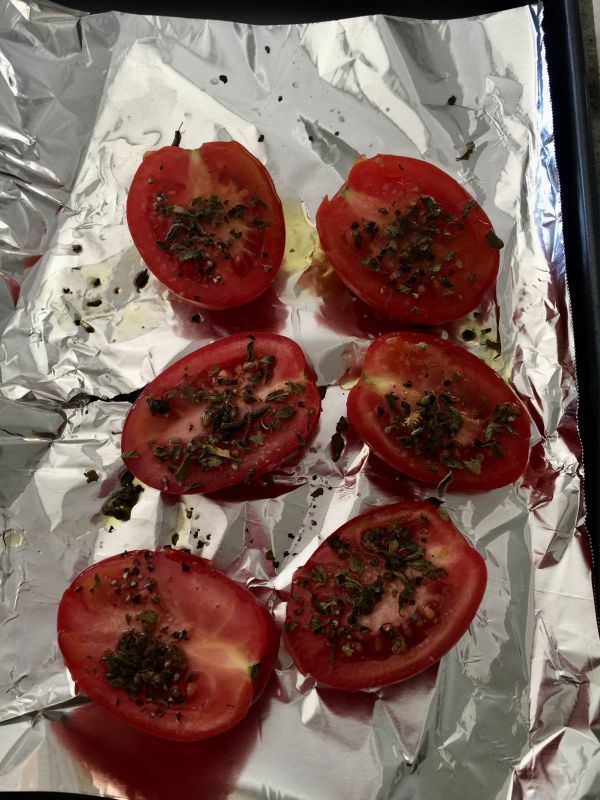 Cut Roma tomatoes in half and add EVOO, salt and pepper. I also added dried oregano. Bake in a 400 degree oven for 15-20 minutes. These can be made the same time as the beets. Both vegetables can be made ahead and refrigerated. Wash beets and wrap in foil. Bake in a 400 degree oven for 45-60 minutes. Cool, Peel and Slice. 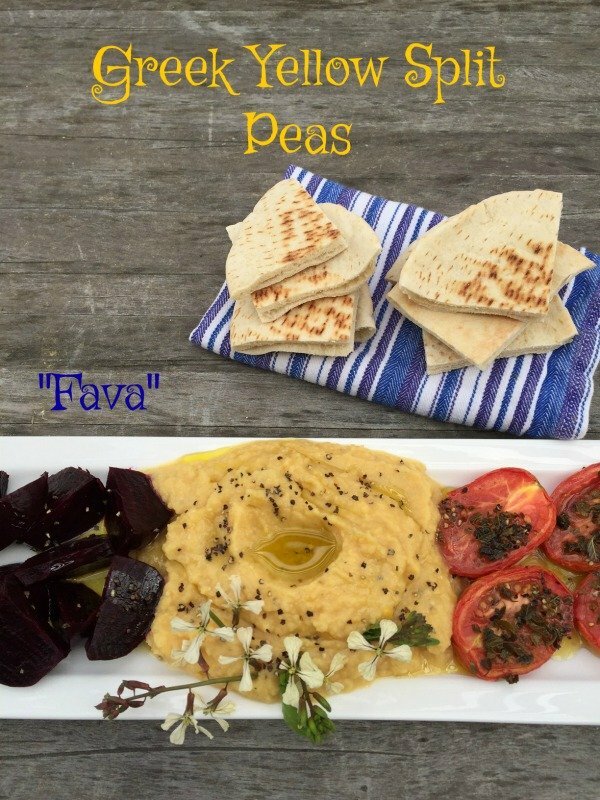 Traditional Greek Split Peas "Fava"
You can't go wrong with this smooth nutritional split pea dip. Make it ahead and serve with toasted pita bread or roasted or fresh vegetables. Be creative and add your favorite spices or ingredients. Rinse the peas with cold water. Place the peas and onion in a medium saucepan, cover with water and bring to a boil. Reduce heat to a simmer. Add 1 teaspoon of olive oil and 1 teaspoon of salt to the beans and cook uncovered for 1 1/2 hours or until tender. Once cooked, drain and place in a food processor or blender. Blend until smooth. Season with salt and pepper. 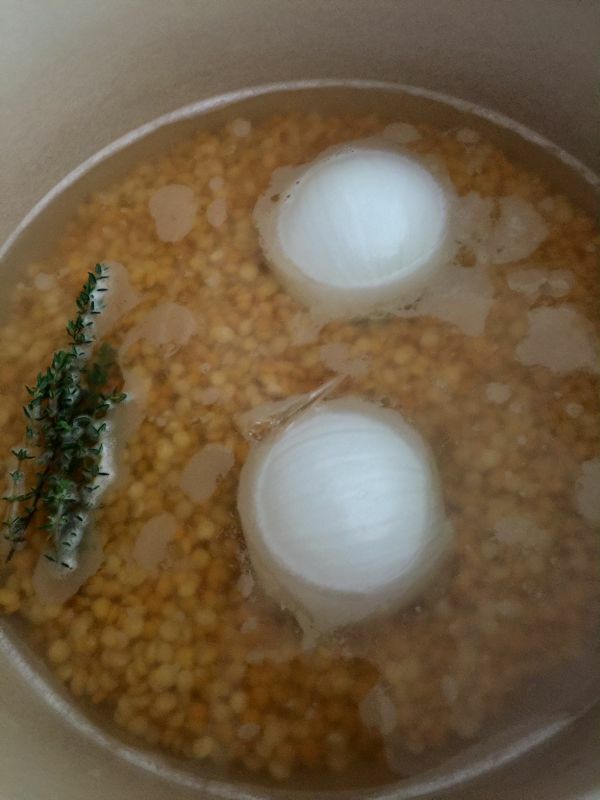 Place in a bowl and top with olive oil and lemon juice. Additional toppings may include capers, green onions, olives, seeds, red onions or chopped radishes. © 2017 – 2019, Mary Papoulias-Platis. All rights reserved.